Explore the naturally decorated caverns filled with helictites at Timpanogos Cave National Monument, located at over 6,000 feet in the Wasatch Mountains, just 50 miles south of Park City. Timpanogos Cave is located off the Alpine Loop Scenic Byway. Explore three caverns filled with helictites and other natural features. A 1.5 mile hike with an 1,100 feet elevation gain is required in order to reach the cave entrance. Learn about the sport of caving during the Introduction to Caving Tour. Timpanogos Cave National Monument is comprised of three separate caverns filled with helictites and other mesmerizing natural features. Located in the shadow of Mount Timpanogos within Utah’s Wasatch Mountains, impressive views of American Fork Canyon can be seen from the cave entrance which is located over one thousand feet above the Timpanogos Visitor Center. In the visitor center you will find an information desk, exhibits, a bookstore, gift shop, and restrooms. 1,100 feet of elevation gain in 1.5 miles from the visitor center to the cave entrance means it’s a rigorous walk to go underground; but it’s worth it. Inside, the cave is comprised of Hansen, Middle, and Timpanogos Caverns. Park rangers lead visitors through a tour of the caverns that showcase incredible natural features. Timpanogos Cave is located off the Alpine Scenic Loop (UT-92). The visitor center sits 10 miles east of I-15 and 17 miles west of US-189 on UT-92. To reach the visitor center from Park City via US-189, turn right (west) onto UT-92 W/Alpine Scenic Highway just south of Heber and continue 17 miles. The best time to visit the Timpanogos Cave is in summer and autumn; snow accumulation closes the Alpine Loop Road from late October through late May. The Visitor Center is open in the Summer (Memorial Day – Labor Day) from 7 am – 5 pm. Cave tours offered daily. In the Fall, it is open from 8 am – 5 pm. It is closed during winter. The caverns at Timpanogos can only be entered with a guided tour. Generally 45 – 60 minutes in length, tours take visitors through the caverns to such wonders as the green and yellow-colored helictites. Here you will learn that a helictite most closely resembles the look of hoarfrost on a foggy day. Tours sell out quickly so consider purchasing tickets in advance (up to 30 days). If you’re over 14 and you don’t mind twisting in tight spaces then sign up for the Introduction to Caving Tour. This tour introduces you to the sport and ethics of caving. $16/person. Tours offered Memorial Day – Labor Day. It doesn’t matter if reach the Mount Timpanogos caves from the east or west; just be sure drive the other half of the Alpine Loop Scenic Byway as you leave Timpanogos Cave. The views are unforgettable and you can stop at Sundance along the way. 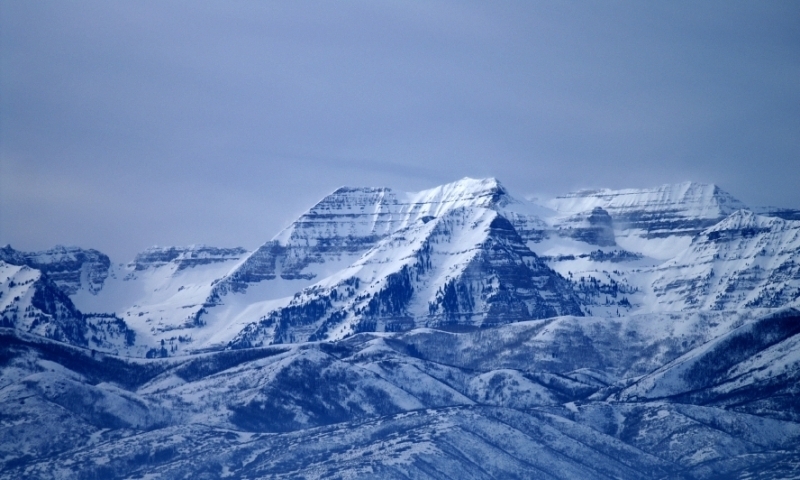 Timpanogos National Monument covers only 250 acres but is 2,740 feet in elevation!